Our telematics solution gives you much more than merely tracking and tracing. 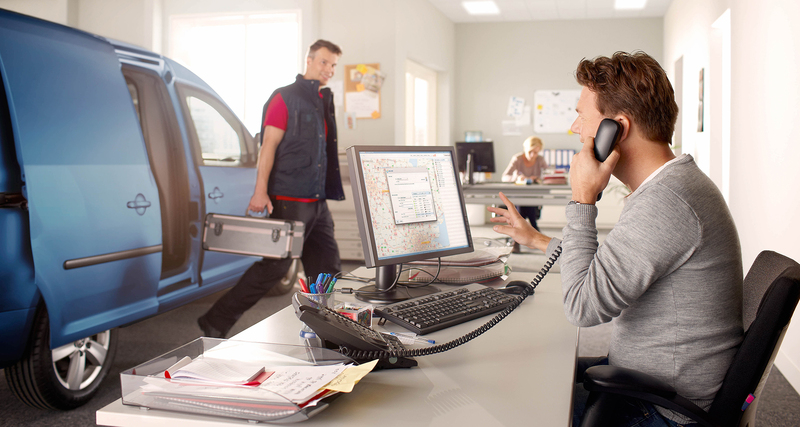 Our fleet solutions are designed to also help the driver. Go beyond knowing when, where and how a vehicle was driven, support your teams in the field with the right tool to make their jobs easier. You’ll be up and running within one day, without any IT installation and you’ll start saving money from day one. With WEBFLEET’s easy-to-use interface and simple installation you can optimise your vehicle and fleet tracking directly from the office. See where your vehicles are – and whether they’re parked or on the move – in real time on a TomTom map. 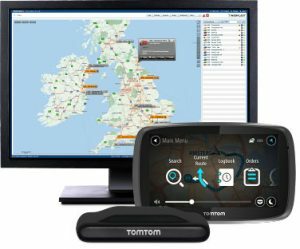 The TomTom PRO device provides your drivers best-in-class navigation and when connected to WEBFLEET, the possibility to communicate with the office and receive orders right on the screen. Get real-time and historical insight into your fleet’s fuel consumption and emissions. Spot trends or anomalies with the fuel efficiency dashboard and compare performance over time with fuel and carbon reporting. WEBFLEET is our award winning fleet management solution that provides real-time information about the location of your vehicles, lets you communicate directly with your drivers, helps to improve driving behaviour, save on fuel and connects to a whole ecosystem of 3rd party solutions. And we have been doing this for over 7 years now, serving over 10,000 vehicles in the UK and Ireland. Complete the enquiry form below and one of our fleet specialists will be in touch with you as soon as possible. For more information on any of our fleet solutions or to arrange a demonstration please call +44 (0)28 90 664 002 or submit an enquiry online.